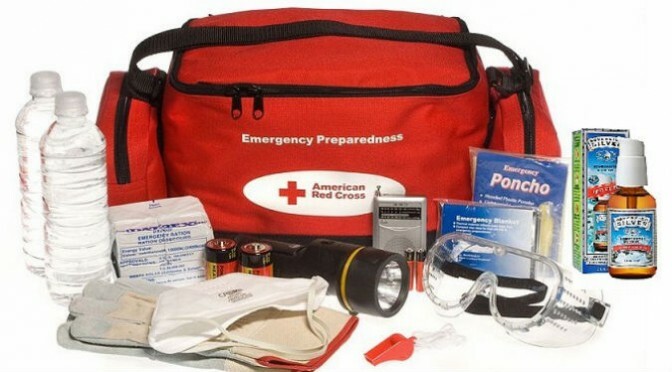 When disaster strikes, you’ll need to be prepared with a good first aid kit as well as all your preps. Yes, you can buy a first aid kit, but depending on your situation, the kit may not have enough supplies given the nature of your emergency. Putting together your home first aid kit is relatively easy. If you’re able to, talk with your doctor about putting together a home first aid kit for disaster preparedness. Your doctor may suggest certain medications not on this list and may make recommendations. He or she may also prescribe extra amounts of your medications so you have your medications available even during an emergency. Your first aid kit should be in a readily available spot that you have easy access to. The kitchen is regarded as a good place but you may want the first aid kit near your bug-out bag should you have to leave the neighborhood. It’s better to keep it away from the bathroom as the steam from the bathroom can cause the medications and supplies to deteriorate sooner. Twice yearly you should check your first aid kit and replace used items and rotate out medications that aren’t as fresh with new medications. Medications do expire so be sure to use up the older medications first and add new medication to replenish the older stock. Also be sure to check the bandages and other items. Inevitably you need to replace items that have been used up so that you’ll have a full stock on hand if you have a real emergency. First aid is a foundation of preparedness. If you don’t already have a good home first aid kit, put that at the top of your list. After getting set at home, you can tackle first aid kits for your cars. I was an Infantry Medic and Wilderness EMT and I often start with a base from Adventure Medical Kits and supplement. I have found this to be simple and cost effective. I strongly recommend getting at least First Responder, preferably Wilderness First Responder qualified and familiar with the contents of your kit(s).